At the time of my grandparents Golden Wedding Anniversary, my Grandfather, Jack Eckmire, wrote down his family history as he knew it. The Eckmires, as you can imagine hailed from Germany, before eventually settling in Winnipeg, Manitoba, Canada. My Grandmother, Nellie Eckmire, had been for years researching our family. She found incredible connections that took from her from "The Forty-Five" rising in Scotland, through Red River and Louis Riel and then to Ghana. My mother, Mary-Ellen Bone, née Eckmire, took up the mantel and carried the story forward. This is her work, which has been embellished by me. The aim for this part of the site is to bring these stories together and add depth to them. We have had quite a journey. Starting with Jack and Nellie Eckmire, this tale will use them as the focal point of the Eckmire and Bone branches of the family with a touch of Aitcheson cross over. The journey of the Eckmires takes us from Hannover in 1824 to London, Hamilton, St Catherine's, Calgary, Edmonton and Ecuador today. The Scottish Connection is the clans McGillivray and McFadyen. These clans are as old as Scotland herself and our family was involved in two of the most terrible events of the 18th Century, "The Forty-Five" otherwise known as the return of The Bonnie Prince, the Battle of Culloden and the land clearances that came in the years that followed. With clear good Scottish sense, they arrived in Canada to start again. With Prince Rupert's Land a land of opportunity for the brave, a young Londoner named Hallet joined the The Honourable Company of Adventurers and headed to what was the end of the world. The trappers and traders of what would become The Hudson's Bay company faced incredible extremes and found love and companionship with the First Nations. Their offspring came to know as Métis, or mixed-race. But no peoples are without conflict and the Métis are no different, divided upon that age old Canadian issue, language. 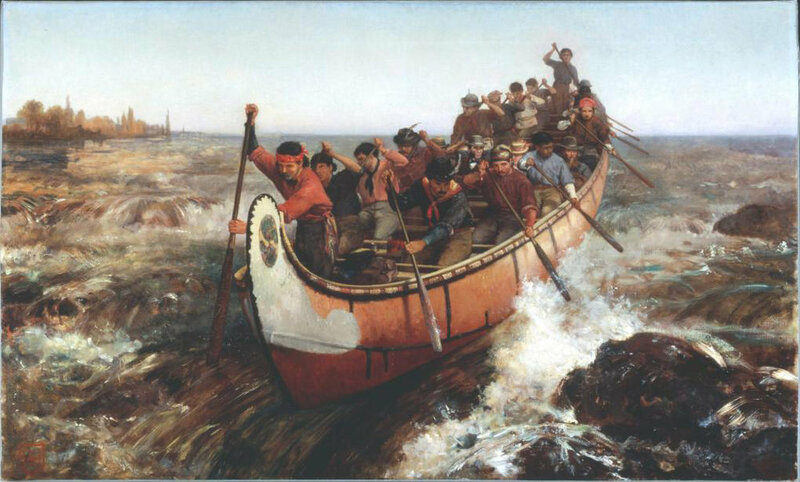 Being of Anglo-Métis decent, this lead our family into direct, very personal conflict with the man voted the 11th Greatest Canadian in 2004, the controversial Louis Riel.